Last week I wrote an article pondering how management strategies may need to change to take advantage of both current and emerging mobile technologies. My reasoning is that simply placing mobile devices in the hands of a mobile workforce does not on its own improve the business. Mobile technology is simply a way of enabling new and improved business processes and management practices. To me this means management needs to be educated. The SVP of National Customer Solutions Delivery, Tony Geheran at TELUS recently stated, "Efficient and effective management of our large mobile workforce is critical to the success of our business.” The important part to note about this statement is that efficient and effective managing is the key to success, not mobile technology. Mobile technology is an enabler, not the end goal. I read recently that one SAP mobility partner, Clicksoftware, is advocating the combination of technology with educational services to help businesses find the right balance between reducing costs, increasing customer satisfaction, employee preferences and industry regulations. I am a fan of this approach. Having been involved in hundreds of mobility projects I know how important it is for the stakeholders to have a deep understanding of why mobile technologies are useful and why it is worth the implementation effort and costs. I believe it is important for managers today to spend time in education and research to learn how mobility can make managing more efficient and effective. In December of 2007 I wrote a blog article questioning why Apple was using the Motorola MC50 handheld computers and Microsoft Mobile operating systems in their stores rather than their own devices and operating systems. Every time I popped into an Apple store for the next couple of years I would see the same thing. However, last month I noted that all the Apple sales associates were carrying the Apple iTouch with a sleeve that appeared to have an integrated barcode reader. I interpreted this development to be a measure of progress that Apple has made toward supporting enterprise requirements. Early on, Apple would not use their own solutions for enterprise class POS and retail applications but now in 2010 they do. The iTouch was using an integrated barcode reader which is a good step toward field data collection. It seems reasonable to assume it could also integrate with RFID and any number of additional Bluetooth enabled data capture accessories. 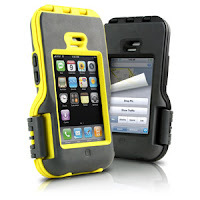 I wonder if there would be a large enough market for a ruggedized iPhone? It would not work well with field workers that wear gloves, but for many service technicians working primarily indoors it might be fine. There are a lot of service technicians from companies like Konica Minolta that work indoors and are implementing mobile field services solutions. Here is a description of the Konica Minolta solution. Jobs are raised in the SAP system, and this information is automatically passed to ClickSchedule via the existing interface. ClickSchedule (from an SAP mobility partner) then allocates the most suitable individual to fix or service the product based upon the engineers' skill sets, location and availability. This information is then seamlessly passed to the field engineer via rugged mobile devices which the engineers use again to update progress. 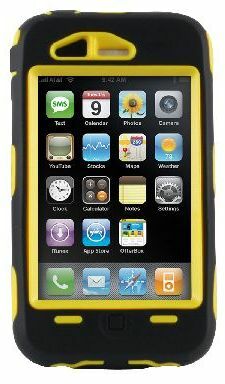 Wouldn't it be interesting if Apple developed a ruggedized and industrial grade device running iOS for this segment of the market? Would this work or do you see more limitations with the iOS that would prevent this from being a reasonable alternative? One measure of the level of maturity in a technology market is if a systems integrator can do the work, rather than the original solution developer. Today, most SAP enterprise mobility vendors are still doing their own work. Why? The solutions are new, dynamic, rapidly expanding and ahead of adequate documentation and systems integrator training programs. It is still rare to see systems integrators using SAP mobility solutions from vendors. It is still very common to see systems integrators custom building their own mobile applications. This however, is not in the best interest of SAP customers in the long term. Out of the box solutions are generally more stable. They have been tested for longer periods of time and often have more companies using them in production environments. I was interested to read that ENERGY4U, a German-based consulting and implementation firm was implementing SMART Work Manager from Syclo for use with the SAP® ERP application for RheinEnergie, a German utility. The solution will automate technicians’ daily meter and preventative maintenance work order processes. ENERGY4U specializes in providing consulting and implementation services related to SAP solutions for utility companies in the deregulated energy market. The fact that ENERGY4U, a systems integrator, is implementing a mobile solution from a mobility vendor in the SAP ecosystem is a sign of maturity and progress in the industry. If you are a systems integrator and are implementing a mobile solution from an SAP ecosystem partner please let me know the details! Garmin is recalling 1.25 million GPS devices, most of which were sold in America, because their batteries could overheat and cause fires, the company said Thursday. The affected units contain batteries made by a third-party supplier, and almost 800,000 were sold in America. The news of Intel acquiring McAfee for nearly $8 billion caught the tech world off guard and perplexed analysts at face value. The fact is that it doesn't make much sense based on the Intel and McAfee of today, but as the dust settles the deal makes more sense when viewed as a visionary shift with an eye on where technology is headed--everywhere. The challenge for the future of Intel is that the relevance of the PC is waning in an increasingly mobile world. I was fortunate to have attended last week's SAP Sybase Executive Briefing in Boston. Also attending were SAP Mentors, Jon Reed and Susan Keohan, "the workflow goddess." There was a lot covered, but in this report I am going to focus on what I learned about enterprise mobility there. Target Corp., best known for its "cheap chic" clothing and furnishings, is adding a series of new services aimed at bolstering its electronics departments. Target announced this morning that it is launching Target Mobile. The independent survey, which examined consumer preferences and attitudes surrounding mobile shopping, found that 15 percent of consumers have used their mobile devices to make purchases. “The key finding is that 15 percent of all mobile phone users—not just smartphone users—made a purchase from their mobile phone,” said Adam Forrest, product marketing manager at Demandware, Woburn, MA. “The age demographic with the highest usage was 25-34 with 21 percent of them making a purchase from their mobile phone. Tuesday morning Sprint Nextel's Virgin Mobile division unveiled its newest offering: a $40 monthly flat rate for unlimited mobile broadband use. The plan immediately will replace the company's current $20, $40 and $60 plans; current users of those plans will be able to use up their existing data or time, whichever comes first. I have been invited to join popular mobility blogger Gil Bouhnick, the Director of Mobile Solutions at ClickSoftware, to speak at an upcoming webinar entitled, 10 Costly Mistakes to Avoid when Selecting and Implementing a Mobility Solution. I don't know where that title came from, as I have made at least a hundred costly mistakes all by myself. I invite you to join us on August 31st. New data from Ground Truth reveals that mobile romance is heating up as temperatures climb in the summer months. According to the mobile media measurement firm, the number of visitors to mobile dating sites increased by 92 percent from the first week in June to the last week in July. Mobile devices from tablets to notebooks to mobile phones are invading the enterprise. Here's a look at some of the trends that are shaping today's mobile enterprise. This week I registered for SAP's TechEd 2010 Las Vegas. I am excited about it this year - the year of mobility! SAP's 2010 focus is - on premise, on demand and on device. MOBILE device that is. I will be teaching a session on The Future of Enterprise Mobility, and hosting two SAP Enterprise Mobility sessions in the Expert Lounge. I have seen the conference agenda and it is packed full of sessions on mobility. I hope to see all of you there! China’s Union Mobile Pay is reporting an M-Commerce sales volume equivalent to $4.4 billion U.S. (30 billion yuan, which is about 3.1 billion euros), according to a report Tuesday from PaymentsSource. That service also reported 140 million registered users, as of the end of last year. The worldwide mobile payments market--including purchases of digital and physical goods, money transfers and NFC transactions--will grow from $170 billion in 2010 to almost $630 billion in 2014 according to a new forecast issued by Juniper Research. I worked on a mobility project a few years ago with a very large construction and engineering firm that did contract work for water and electrical utilities in the UK. They came to me with a need to survey and inspect council houses. Bank of America Corp plans to begin a test program next month that lets customers use smartphones to pay for purchases in stores. The program, set to run from September through the end of the year in the New York area, is the biggest step yet by the biggest U.S. consumer bank toward creating a "digital wallet" with a host of financial capabilities built into the latest, most sophisticated mobile phones. High end retailer Barneys New York went for speed and simplicity when it launched its mobile commerce site in October. Two-thirds of service providers surveyed intend to use WiMAX for mobility-based services by 2012. This indicates a richer service environment for WiMAX in the future, but at the same time, the survey showed that key challenges remain; specifically, the limited range of WiMAX-enabled mobile devices and the difficulty of building low-ARPU pricing models for developing countries. 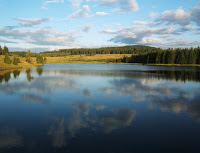 In the UK the water utilities and the government wanted to find ways of reducing water consumption so they could delay or avoid building new water reservoirs. You can image how difficult and costly it is to build new water reservoirs in populated areas! The company that was awarded the inspection work contacted me to help them mobilize this system. Here is a high level view on how I remember the process worked. A new survey of hundreds of wireless industry executives from around the world found strong support for a switch from flat-rate mobile data plans to usage-based models. The survey found that 48 percent of executives surveyed predicted that carriers will focus on developing new mobile data pricing models over the next three years. Additionally, the survey showed that 55 percent of those surveyed agreed usage-based models are coming to mature markets, and 47 percent said flat-rate data plans are crimping their ability to increase revenue. Last week, in a blog article, I discussed the challenges of preparing to consult with a company and advise them on issues related to enterprise mobility. I shared that it is helpful to send questions in advance so you know what kind of environment you are walking into. Since that article I have thought of a few more questions which I have listed here. SAP and Sybase Press Release on Enterprise Mobility Roadmap – August 19, 2010: The companies will integrate the SAP NetWeaver® Mobile component and SAP® BusinessObjects™ Mobile software with Sybase Unwired Platform to deliver a single mobile development and deployment platform with integrated analytics. I have been thinking a lot lately about how management, and the art of managing, needs to evolve with the advancement and progress in mobile technology. It is not just mobile devices that change, but a whole list of new capabilities that are now available to a manager. I wonder how many managers have adapted their management styles and practices, and re-engineered their business processes to take advantage of these mobile features and capabilities? Networked Field Services whitepaper - This paper explores the convergence of several different technologies including: mobility, GPS, business intelligence and M2M (machine to machine) technologies with evolving field services management strategies. This convergence has resulted in a new “Networked Field Service” model that has been developed by leading military strategists. Governments have made huge investments over the past few years in Network-Centric Warfare strategies and mobile data collection technologies that are relevant to field services organizations. What do you think? Do you see managers staying on top of new mobile capabilities, or are they managing the same way they did in a disconnected world? Let me provide just one example. Earlier this year Syclo connected their mobile applications to the SAP global support backbone. This is a great step that recognizes the importance of mobility to the enterprise, but how many managers know what this means and how to use it effectively? Here are some details. Syclo’s mobile applications now connect to the SAP global support backbone of the SAP® Active Global Support organization and have built-in support for incident processing and remote diagnostics using the partner edition of the SAP Solution Manager application management solution, providing end-to-end incident management processes. Syclo is using SAP Solution Manager during support operations and conforms to SAP standards for shared support processes, service-level agreements and escalation procedures. The integration between Syclo’s SMART Work Manager and SMART Service Manager applications and SAP Active Global Support will help customers increase operational efficiency. Now that the technology is here, I believe it is time to educate management. What do you think? Do you need an SDK (software development kit) to customize and/or edit your own mobile applications? Do you want to develop your own mobile application in-house, buy off-the-shelf or contract with a third party for a custom mobile application? If you want to develop in-house, are your stakeholders patient enough to wait for the final product? What are the costs to the business of not delivering on time? If you develop in-house, who will support new versions of the mobile operating systems and new mobile devices? Which business unit will budget to pay for upgrades to mobile operating systems and mobile devices? They change every few months? Do you really have developers that will be available for all of these updates and upgrades? How will you support it? What is the plan for supporting mobile applications and mobile devices? What countries will be using it? What data plans does the company want to use in each country? How will you manage the data plans? What is the policy for replacing missing or damaged mobile devices? Which business unit will pay for lost devices and data plans? What is the process for approving mobile access to ERPs and business processes? Syclo, a co-innovation partner of SAP in the mobility space, speaks of supporting any data source, any network, any device, any industry, any process and anywhere in the world. Doing that all for one enterprise takes getting a few questions answered. What other questions should we add to this list? 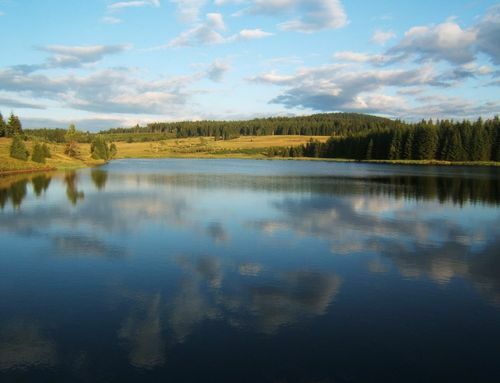 In the UK the water utilities and the government wanted to find ways of reducing water consumption so they could delay or avoid building new water reservoirs. You can image how difficult and costly it is to build new water reservoirs in populated areas! The water utilities and the government, which own a significant number of council houses, developed a program in which they would send inspectors out to inspect water usage and recommend ways of reducing it. 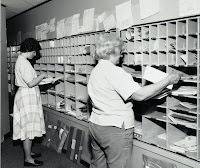 Mail was sent to the council house addresses announcing the program. Inspectors were dispatched to a certain number of homes each day. Minutes before the inspectors were to arrive, the home owners were called to make sure they were home. 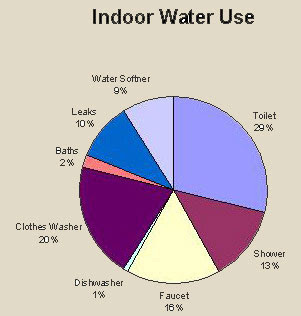 The inspectors inspected all of the plumbing and appliances for leaks, and other areas where water consumption could be reduced. 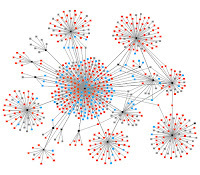 Following the inspections the data was synchronized back to a central database. The results of the inspections were organized and recommendations on a per house basis were made and the costs associated with the improvements where calculated. Once the improvements and work was approved, field service technicians were dispatched to install equipment and repair equipment that was intended to reduce water usage. The key point was that the ROI for this project was potentially billions of Sterling for the government and water utilities. Delivering that ROI was dependent on getting the inspections and work done efficiently. If the inspections and work cost were too much, then the entire project would be jeopardized. Efficiencies were required in order for any of it to happen. Also available are Kevin’s Mobility News Weekly and Kevin’s Enterprise Mobility Blog. According to a recent IE Market Research forecast, the worldwide market for GPS powered navigation and location-based services will grow from $1.6 billion in 2009 to $13.4 billion in 2014, representing a compound annual growth rate of 51.3 percent. The seemingly recession proof smartphone is suffering from a side effect of the rough economy: Manufacturers simply can't build enough of the gadgets because chip makers that rolled back production last year now are scrambling to play catch up. M2M devices and applications are an area of wireless data usage with a projected compound annual growth rate of over 25 percent per year through 2014 and a projected need for up to 50 billion M2M devices by 2025. You may have heard one of the absolute brightest spots in the tech space is the M2M market where analysts believe sales will total $18 billion in the next five years as device totals surge from 75 million to over 225 million. The number of devices connected to the internet is expected to break through the five billion mark this month, according to web market research firm IMS Research. Numbers could be as high as 22 billion by 2020. Over the last few years, the key focus of M2M applications has shifted from tactical, local deployments – where M2M began – to increasingly strategic, national and international deployments. As a result, the demand for cost effective national and international network coverage has increased dramatically. Many technologies today focus on providing high speed connections for multimedia, information and entertainment applications. However, at the opposite end of the spectrum, there is a growing need for new breeds of smart devices based on wireless sensors that have a very different set of core requirements. The ABI study "Cellular Machine-to-Machine Markets" discusses the market trends and analyzes cellular M2M vendor strategic responses for the period 2003-2009. According to the study, the M2M communication market has had fluctuating fortunes. While 2007 was a “good year”, 2008 was witness to a drastic decline in shipment volumes and revenues. However, as 3G gained more significance, the market seems to have picked up and it is estimated to be worth $3.8 billion in 2015. Cleveland's city council has equipped residential recycling bins with RFID tags. Passing garbage trucks count the bins, and any residents whose bin isn't left on the curb for a few weeks will be visited by the "rubbish inspector." After a bit of digging (literally), if it turns out that resident has been discarding recyclables, they face a $100 fine. According to the 2010 "Green Quadrant" report published by Verdantix, an independent analyst firm that provides commercial analysis of climate change, sustainability and energy issues, Orange "stands out as the telecoms operator that has been most successful in creating, marketing and delivering telecoms solutions which offer sustainability benefits to business customers." Orange already led the market in the 2009 issue of the Verdantix report. Someday, all cars may be smart and connected. But today, it’s noteworthy indeed that ITU’s Fully Networked Car, and ng Connect’s LTE Connected Car are on display at two different major European tradeshows: the Geneva Auto Show and CeBIT. ORBCOMM Inc., a global satellite data communications company focusing on two-way M2M communications announced that Caterpillar Inc. has renewed its agreement with ORBCOMM for satellite communication services for their heavy equipment telematics solution. Caterpillar will benefit from their expanded services in countries like South Africa, Ghana, and Papua New Guinea. Vodafone decided a while ago that M2M represented a strong opportunity for the Group, and subsequently appointed Erik Brenneis to the role of heading up a group M2M Line of Business unit, with overall responsibility for driving Vodafone’s growth in the M2M market. Mr. Brenneis was formerly Chief Sales Officer at M2M market leader Cinterion Wireless Modules and therefore has a strong background in M2M. Since then, they have been recruiting M2M specialists to strengthen this new group unit and aims to have 110 full time staff by the last quarter of this year. This will include regional heads for the Americas, AsiaPacific, and North, Central and South Europe, to be located in-region. To take one example, the plan calls for a new US team with an initial staff of 6, even though Vodafone has no direct presence in that market. Nevertheless, it does have a 45 percent stake in its affiliate, Verizon Wireless, the largest mobile operator in the US, now focusing on M2M following the establishment of nPhase as its M2M joint venture with Qualcomm. I worked on a mobility project a few years ago with a very large construction and engineering firm that did contract work for water and electrical utilities in the UK. They came to me with a need to survey and inspect council houses. 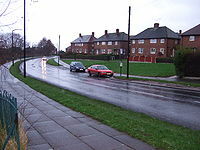 Council housing is a form of public or social housing in the United Kingdom. Council houses are built and operated by local councils to provide uncrowded, well built homes on secure tenancies at below market rents to primarily working class individuals. The contractor asked me to provide consulting on how to mobilize up to 3,000 inspectors all around the UK to go to council houses and inspect them for ways to conserve both energy and water. The number 3,000 had a magical ring to it so I agreed. I flew to Newcastle where I met with the team and found out their real motivation for wanting to inspect the houses and mobilize their inspectors. Their real motivation was a desire to save billions in Sterling! If they could inspect the houses, recommend ways to reduce water consumption by 10, 20 or 30 percent, then they could delay the need to build new water reservoirs which could take years and cost billions. I like mobile ROIs with the word billions attached! The SAP Workforce Scheduling and Service Optimization solution is one of the solutions available that is designed for managing work in the field on mobile devices. 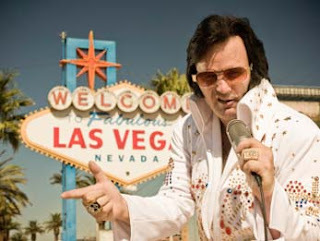 This week I registered for SAP's TechEd 2010 Las Vegas. I am excited about it this year - the year of mobility! SAP's 2010 focus is - on premise, on demand and on device. MOBILE device that is. I will be teaching a session on The Future of Enterprise Mobility. I have seen the conference agenda and it is packed full of sessions on mobility. I hope to see all of you there! TechEd is a conference designed for those that do the real work. The developers, architects, business analysts and IT teams. It is a place to get real answers, not just the marketing messages. I filmed a brief video about TechEd and why I like it and uploaded it to the SAP Mentor channel on YouTube. I hope to see you there!!! I will be wearing a cool SAP Mentor rugby shirt with "Benedict" written on my back. Come introduce yourself to me! I was fortunate to have attended yesterday's SAP Sybase Executive Briefing in Boston. Also attending were SAP Mentors, Jon Reed and Susan Keohan, "the workflow goddess." There was a lot covered, but in this report I am going to focus on what I learned about enterprise mobility there. First, I will provide some impressions and then drill into some details. Keep in mind that this is my biased interpretation (i.e. analysis) of what I heard. The SAP team wanted to communicate that SAP is a different company, with different management now. They want to leave the slow, grinding and bureaucratic company and image behind. They want to be passionate about innovation and technology again. They want to excite the markets and excite customers with brilliance and innovation. I was given off-the-record insight into changes in personnel that were intended to support this change. I heard several themes at the briefing - game changer and transformational innovation. SAP believes that mobility and in-memory technology that Sybase brings to the equation are game changers. They will change the world. The combined SAP/Sybase solutions and technology will be transformational to the industry and to SAP. SAP has three core strategies this year - on premise, on demand and on device. Mobile is one third of the SAP focus this year. However, the entire first hour of the executive briefing was about just mobility! I spoke with many of the SAP executives and Sybase management about enterprise mobility. These are smart people. They have thought through mobility. Brian Vink said they have been working on mobile CRM with SAP for three years so know SAP intimately. I asked Brian Vink the following question over lunch, "Is synchronization more or less important today than in the past?" He answered that it was just as important today for a MEAP (mobile enterprise application platform). He said although not all mobile applications need offline/online support and database synchronization, nearly every enterprise will need it. Any complex mission critical mobile application usually involves databases. My interpretation of his comment - all enterprises will have a range of mobile application needs, however, nearly all will have a subset of complex mobile applications that need synchronization. Co-CEO Bill McDermott spoke about real-time enterprises. Brian Vink with Sybase said real-time enterprises can only happen if all of the solutions are mobilized. Vink added that all information needs to be mobilized, because the workforce is mobile. The management teams of both companies emphasized that all enterprises in the next 5 years must be mobilized. They believe almost all applications will need mobile extensions. With this vision it is perfectly understandable why SAP spent $5.8 billion on Sybase. It is important to note that mobility goes way beyond what most people think. It covers Tablet PCs, laptops, in-vehicle entertainment systems, healthcare monitoring equipment, M2M, e-Readers, email synchronization, mobile security, mobile banking, home energy management systems, and a plethora of other things. We need to expand our thinking about mobility. The market is massive! Brian Vink talked about SAP/Sybase support for M2M (machine to machine) as being an important growth area. I agree which is why I am writing a weekly newsletter on M2M. This market is predicted to reach 50 billion embedded wireless devices by 2024. Vishal Sikka, SAP Executive Board Member, said SAP has made a major strategic change. Rather than creating new innovations and technologies that run only on the latest versions of SAP solutions, they will now ensure that major innovations are supported on the majority of all older versions and platforms as well. New innovations should be able to be used by the majority of the SAP community. Vishal said, "The math does not work if we invest in new technology that can only be used by a small fraction of our base. We need to ensure that our best and most innovative solutions can be used by the majority of our community. The math works when you do that!" Here are some of the notes I took during the day. NetWeaver Mobile, Project Gateway, Afaria and SUP will combine in the next 9 months (targeting Sapphire 2011). Sybase is targeting Sapphire for a launch of a mobile SDK. This will provide developers with everything they need to design, develop, deploy and support mobile enterprise applications, except the device specific GUIs and device functions. Device GUIs and functions are developed using the mobile OS SDKs (i.e. iPhone SDK, Blackberry SDK, Android SDK). All SAP mobility partners better adopt this strategy or be left in the dust. Enterprise mobility vendors should immediately refocus investments on mobile middleware to mobile applications and vertical industry support. Project Gateway is the way the external world will communicate with SAP. SAP and Sybase will work closely together on mobility, but maintain separate operations and sales forces. Sybase is making good money, so leave it alone. SAP and Sybase will jointly work together on SAP related mobile sales opportunities. As a result, SAP and Sybase sales teams will want to only be introducing mobile solutions that they get compensated on. This is key for enterprise mobility vendors to understand. If you want SAP or Sybase help to close a deal, then there better be a compensation plan. Third party mobility vendors in the SAP ecosystem are absolutely needed and supported, but enterprise mobility vendors better be supporting the Sybase Unwired Platform and NetWeaver if they want help from SAP and sales support in the long term. Sybase said that SAP has over 22 vertical industries. SAP and Sybase will look at the mobility needs of each of these industries and prioritize them. SAP and Sybase will try to jointly provide mobile solutions for a handful of key mobile solutions like SFA (sales force automation). SAP's Nick Brown, SVP of Mobility highlighted the value that ClickSoftware and Syclo bring to the SAP ecosystem. He said both of these companies are onboard with supporting the SAP/Sybase roadmap and will be deploying their solutions on SUP. They both offer excellent industry knowledge and experience and have deep industry expertise. SAP and Sybase will be identifying "whitespace" markets where there are not currently recognized mobile solutions. They will survey customers to understand how important these areas are to them. If they are important to a significant number, then SAP/Sybase will look for a mobility partner to fill that space. If the space ultimately becomes mission critical and core to the SAP environment, then SAP may look to acquire. There are big opportunities for enterprise mobility vendors that support SUP (Sybase Unwired Platform) with deep vertical industry expertise in the 20 plus verticals supported by SAP. Deep industry knowledge makes you valuable to Sybase and SAP. Mobile vendors that are generalists will find it increasingly difficult to find a niche in the SAP ecosystem. Sybase and SAP have been working together on mobile applications for at least 3 years. They have been jointly developing mobile CRM. SAP believes all "real time" enterprises will need mobility. SAP believes that all future development needs to have mobile support as a default. SAP believes hundreds and thousands of different mobile applications are needed to support various business processes and functions. I kept hearing about an SAP solution called Event Inside and event streams...I must learn more. I will likely think of more information that I missed, but this is the majority. I also filmed a five part YouTube series following the briefing that can be found on the SAP Mentor channel on YouTube. Jon Reed, SAP Mentor filmed an interview with Vishal Sikka at lunch yesterday - Click here to view. If you want to read my real time tweets from the briefing yesterday, then join me on twitter - @krbenedict. Highlight: The companies will integrate the SAP NetWeaver® Mobile component and SAP® BusinessObjects™ Mobile software with Sybase Unwired Platform to deliver a single mobile development and deployment platform with integrated analytics. BOSTON, Mass. and FRANKFURT, Germany - August 19, 2010 - At a co-located event today in Boston and Frankfurt, company leaders from SAP AG (NYSE: SAP) and Sybase came together for the first time to share the strategy and joint product direction for the newly combined companies. In a bold move that brings together established industry leaders and changes the game for enterprise mobility, SAP announced its intent to acquire Sybase on May 12, 2010. In the few months since that time, the two companies have moved quickly to create product road maps and innovations to transform the way people and businesses work. The combined companies now represent the market-leading position in enterprise applications, business analytics and mobile infrastructure. Recognizing the strength of Sybase’s existing business model, SAP confirmed that Sybase will be run as a separate, independent unit – and that customer investments in Sybase products will be preserved and supported. Setting the stage for their vision of an unwired enterprise and embracing the evolution of mobile as the new desktop, SAP and Sybase today also unveiled strategic product directions and planned co-innovations in three key areas: enterprise mobility, business analytics and enterprise information management (EIM). Within the next nine months, the companies will bring together technologies to deliver a leading mobile platform for business that is based on open standards, runs on all major mobile operating systems, and manages and supports all major device types. With this platform, customers and partners can build new mobile experiences on top of existing applications, such as SAP® Business Suite software. In addition, SAP will showcase mobile experiences for all products, including both SAP Business Suite and SAP® Business ByDesign™, similar to what is available for mobile sales for customer relationship management (CRM) today. SAP and Sybase will present the industry’s broadest solution portfolio for EIM by porting, certifying and optimizing SAP Business Suite and other solutions onto Sybase data management servers – bringing customers a greater choice of database platforms for their SAP applications. The companies will offer customers a complete and optimized high-performance business analytics infrastructure tapping SAP® BusinessObjects™ business intelligence (BI) solutions on data management servers to deliver end-to-end functionality from discovery (enterprise information management) to storage (calculation and storage engines for transactions, data marts, data warehouse) to consumption (query reporting and analytics, scorecarding, dashboarding, OLAP tools, mobile BI). The companies will incorporate SAP's in-memory computing technology across SAP and Sybase data management offerings, enabling customers to instantaneously access any type of data, anywhere, any place in real time. 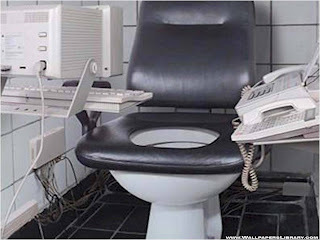 Research firm Gartner predicts that by 2014, there will be a 90 percent mobile penetration rate and 6.5 billion mobile connections.1 This new generation of users demands immediate access to enterprise applications from any location, at any time. The Sybase acquisition allows SAP to bring customers a mobile platform that can support SAP applications and enable partners and customers to develop complementary applications to help them run their business better. The extension of existing applications and the delivery of new applications will broaden the reach of SAP solutions across mobile platforms and devices and accelerate the pace of mobile innovation for enterprises. SAP and Sybase already have co-innovated and delivered Sybase Mobile Sales for the SAP® Customer Relationship Management (SAP CRM) application and Sybase Mobile Workflow for SAP Business Suite. The companies will integrate the SAP NetWeaver® Mobile component and SAP® BusinessObjects™ Mobile software with Sybase Unwired Platform to deliver a single mobile development and deployment platform with integrated analytics. New open standards-based technology from SAP that enables easy access to SAP Business Suite will accelerate the mobilization of SAP applications. SAP will also deliver industry-specific mobile applications built on this next-generation mobile platform. With the combination of complementary technologies from the SAP BusinessObjects portfolio and Sybase, the companies now offer a complete and optimized high-performance business analytics infrastructure. SAP BusinessObjects BI solutions are already certified on Sybase IQ 15.0 and Sybase ASE 15.0. Customers can take advantage of complete solutions – from business analytic applications; to reports, scorecards and dashboards; to data integration and data quality; to transactional storage, data marts and data warehousing. SAP and Sybase will also deliver business analytic applications that are optimized for industries such as financial services, consumer products, retail and manufacturing. SAP in-memory computing technology is the driving force enabling business users to instantaneously access, explore, model and analyze transactional, analytical and Web-based data in real time in a single environment from anywhere, anytime, using any device. SAP and Sybase will incorporate SAP in-memory computing technology across SAP and Sybase data management offerings. SAP has already announced a high-performance analytic appliance as further innovation in the in-memory computing space. One of the highest priorities for organizations of any size and across any industry is managing the soaring quantity of data, and harnessing that information to improve their business. The combination of SAP and Sybase EIM offerings provides the industry’s broadest solution portfolio for enterprise information management, including data integration and data quality, master data management, complex event processing (CEP), real-time replication, modeling, application development and database capabilities. Sybase ASE is one of the leading database engines that support transactional and mixed workloads, and will be fully supported by the combined companies. SAP will port, certify and optimize SAP Business Suite, the SAP NetWeaver® Business Warehouse component, SAP® BusinessObjects™ Data Services software and SAP BusinessObjects BI solutions to Sybase ASE — giving customers a greater choice of database platforms for their SAP applications. With this acquisition, new fields of opportunity are available for the SAP ecosystem. Across all partner types – services, ISVs, hardware and others – partners can participate in the new opportunities that come from the SAP and Sybase strategies around enterprise mobility, business analytics and EIM. SAP has also enabled its ecosystem partners to build and deliver new mobile applications on the mobility platform. Recently, announced on August 9, 2010, a series of Sybase partners launched innovative mobile applications for SAP solutions on the Sybase Unwired Platform. This growing ecosystem is significantly extending the reach of enterprise customers and applications, empowering millions of mobile workers worldwide. This ecosystem is further extended with the opportunity to engage and transact with four billion mobile subscribers, through Sybase’s messaging and mobile commerce services via reach to 900 mobile operators worldwide. Mobile devices are overtaking PCs. In a nutshell, what we are seeing in smartphones is bigger than anything that has come before it. Much bigger than the PC. And it is coming so fast that we don't realize what's happening. Spain added 269,371 mobile lines in June, bringing the total number to 52.83 million, up by 2.2 percent over the same month of 2009, according to the monthly report by Spanish regulator CMT. I was asked the other day to put together a list of questions to send to a management team in advance of my visit. They had asked me to help them develop an enterprise mobility strategy. This was an interesting task. I had little knowledge of the scope of their ambitions, so I approached this challenge by creating a list of open ended questions that were designed to uncover their interests and their range of possible needs. How would you prepare to discuss an infinite number of different mobility scenarios, business processes, IT infrastructures, ERPs and a plethora of mobile devices. The latest quarterly update to ABI Research's enterprise mobility regional market data sets shows that healthcare, retail and manufacturing, three sectors each with a double digit share, will command over 36 percent of all mobile business customer data revenues worldwide over the next five years. Google's Android platform now represents 17.2 percent of the global smartphone market, overtaking Apple's iOS as the world's third most popular smartphone OS and edging past Research In Motion's BlackBerry to emerge as the top selling OS in the U.S., according to new data published by research firm Gartner. I have been invited to join popular mobility blogger Gil Bouhnick, the Director of Mobile Solutions at ClickSoftware, to speak at an upcoming webinar entitled, 10 Costly Mistakes to Avoid when Selecting and Implementing a Mobility Solution. I don't know where that title came from, as I have made at least a hundred costly mistakes all by myself. A friend of mine here in Boise, Jon Young developed a very interesting mobile application on Android. 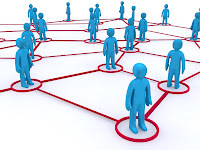 The application is a great example of the concept of extending business processes. The application works much like the popular RedLaser iPhone application in that it can scan an ISBN barcode on a book cover and then automatically look it up. India's telecoms ministry has suggested a formula by which security agencies can get access to corporate email on Research In Motion's Blackberry devices, the Economic Times reported. The mobile commerce market is worth $2.5 billion today, and will grow four times that amount in the next couple of years, according to a panelist at the eTail 2010 Social Media & Mobile Commerce Summit. KeyBank is keeping on-the-go customers updated on their accounts via a new SMS mobile banking service. Mobile operators' 3G networks carry 72 percent of video content viewed by Android smartphone users in the U.S. according to new data issued by mobile video ad network Rhythm NewMedia. By comparison, iPhone users rely on 3G for 56 percent of their mobile video consumption. I have been pondering various enterprise mobility strategies this week. I asked myself the question, "Is it better to be an enterprise mobility generalist or a business process expert that mobilizes their solutions?" What do you think? The success of the iPhone and Google's Android platform spotlights the real "killer app" in the smartphone market: having apps. That's a reality likely to haunt Research In Motion as it tries to generate buyers and buzz for its new BlackBerry Torch, which hits stores next week. At Apple, there are about 250,000 apps for that. At BlackBerry's App World, there are just 8,000. As Nokia seeks to turn around its smartphone lineup to try to compete with the BlackBerry and with Apple’s iPhone, the company is also trying to shore up its bulk cell phone business, which accounts for 84 percent of the 432 million devices Nokia sold last year. Another analyst is reporting Android sales are on fire. Shipments of Android phones will grow by 561 percent in 2010 and take nearly 25 percent of the smartphone market. Additionally, Apple iPhone shipments will overtake RIM smartphones later this year, according to Digitimes Research. I believe that ultimately having deep vertical expertise makes your position more defensible. If you have industry expertise, and it is reflected in your mobile solutions, you will provide greater value to your customer. Let's use the example of SAP Workforce Scheduling and Optimization. This is a specialized solution that addresses a specific category of problems. SAP sought a partnership with industry expert Clicksoftware for this solution. SAP sales teams now sell this solution globally and it is on the SAP pricelist as an SAP branded solution with the suffix "by Clicksoftware." SAP sought industry expertise for this solution. The mobile applications that are a part of it are valuable, but much of the value of this relationship is in the expertise built in the business applications themselves, not just the mobile client. Without the industry expertise, it is highly unlikely that Clicksoftware would have been SAP's selection in this area. Expertise matters. With the advent of HTML5, mobile micro-apps and other lightweight mobile applications, the value of a particular mobile application is primarily in its ability to interact effectively with a specific "business application" that is somewhere else. The mobile client has little or no value without the "business application." As a result, the quality of the business application again becomes the focus. This is how the mobility vendors within the SAP ecosystem will be weeded out. Those without deep industry expertise will find it hard to compete with those that do. I stood on my soapbox. Now it is your turn. Do you agree or disagree? I look forward to your thoughts. Within the past 18 months Numerex has quietly positioned their business for strong growth in revenues and profits. Financially they are strong and getting stronger. Long term debt has been reduced to zero, cash is growing and stands at $7.5 million or about 50 cents per share, and non-GAAP net income (before legal expenses) was $1.8 million or about 12 cents per share. IMS Research has shared some findings indicating that the number of Internet connected devices is expected to pass the 5 billion milestone this month. Furthermore, the organization forecasts 22 billion connected devices by 2020. Some figures are already projecting that the market for M2M technology could boost U.S. wireless penetration from the current 90 percent to a staggering 500 percent over the next few years, with M2M connections far outpacing handset buyers in a huge growth spurt for the telecom industry. The M2M sector in Spain went up by 20.9 percent over the same period last year, to over 1.94 million lines. The growth of the M2M sector brings the total number of mobile lines to over 54.77 million. The emerging cellular M2M market has developed some sophisticated models on how to bill for mobile network use. As the consumer wireless industry looks beyond hard caps and unlimited data plans, can it emulate the business models of its M2M counterpart? Safefreight Technology, the official mobile security supplier for the IZOD IndyCar Series is partnering with KORE Telematic, to monitor the location and security status of each Indy car transport trailer and logistics support vehicle. Detailed information such as multi-zone temperature monitoring, door openings and aggressive driver acceleration, braking or turning can be transmitted by Smartfleet through the KORE network. Laird Technologies, Inc., a global leader in the design and supply of customized performance critical components and systems for advanced electronics and wireless products, today announced that they have entered into an agreement with Sprint to extend an M2M product line to a variety of businesses. A friend of mine here in Boise, Jon Young developed a very interesting mobile application on Android. 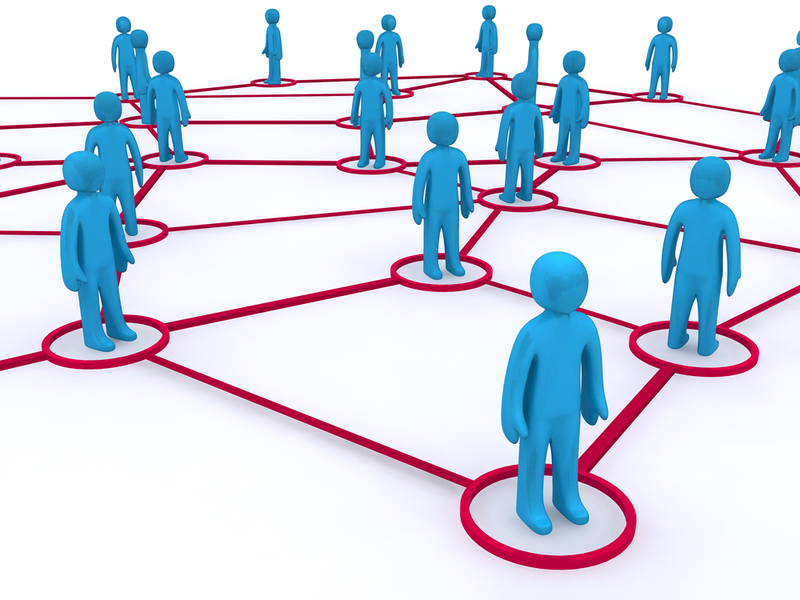 The application is a great example of the concept of extending business processes. The application works much like the popular RedLaser iPhone application in that it can scan an ISBN barcode on a book cover and then automatically look it up. The special part of the application is that it looks up the book in the local library system. It will show the book's status and allow you to reserve the book if available. You can read more about it on Jon's blog. Think about this - you see a book that looks really interesting in a bookstore. You can use Redlaser to look up the price at other locations or use Jon's mobile application to look it up in the Boise Library System, check the status, and reserve it. The Boise Library System also delivers the book free to the local library location of your choice and emails you when the book arrives. This entire process can be completed on your mobile device. This is a simple example of a very useful business process that was extended to mobile devices. On Thursday, August 19, SAP and Sybase will hold a press conference to discuss their mobile enterprise strategies. I will be listening in particular to how they will be extending ERP business processes out to mobile devices. The SAP Workforce Scheduling and Optimization application by Clicksoftware is a great example of extending business processes out to the mobile workforce. Here is how SAP describes it - it helps your service organization run at optimal efficiency: from demand forecasting and workforce shift planning to real-time optimized scheduling, mobile workforce management, and business analytics. The solution helps ensure that your service organization meets objectives and commitments smoothly and efficiently.